Flight Data Read Back assesses short-term memory and tolerance for stress. 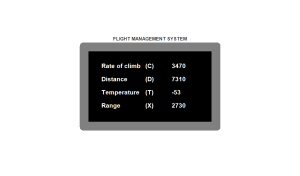 A Flight Management System box briefly introduces sequences of parameters like altitude, speed, heading and radio information. Test takers have to reproduce the readings shortly after.